A budget friendly place for a comfortable and relaxing stay. Hotel Narayan Palace is a fine place to stay at when one is in Bhopal. 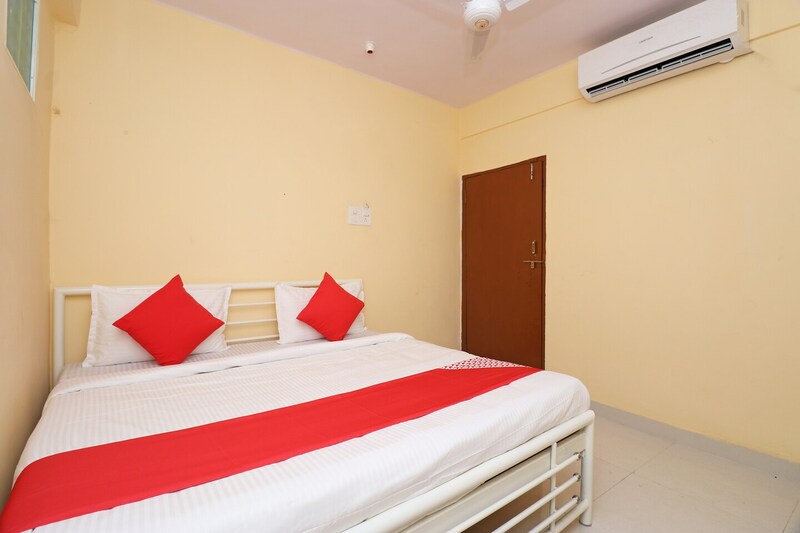 The bedrooms at hotel are simple and soberly decorated with light colored walls and dark wood furnishings, keeping the ambience of the room warm and bright. The bright cushions add liveliness to the room, making it more appealing for the guests. Apart from this, the bedrooms have shapes cut into the wall while paintings adorn them, giving the rooms that edginess that makes it all the more appealing. The hotel provides its guests free Wi-Fi, power backup and laundry facility.